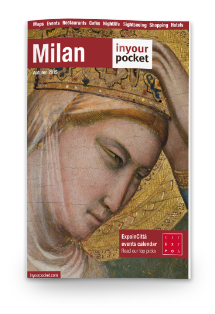 WHY A MILANOCARD SPECIAL EDITION FOR MILANO MUSIC WEEK? In collaboration with the City of Milan, SIAE, FIMI, Assomusica and NUOVOIMAIE, MilanoCard Group proposes a MilanoCard MMW Special Edition for the Milan Music Week, which will take place from 20 to 26 November 2017. MilanoCard MMW Special Edition will allow its holders not only to travel free of charge on all Milan public transport (24h, 48h or 72h, depending on the MilanoCard choice), but also to get discounts and reserved seats throughout the duration of the Milan Music Week! WHAT IS INCLUDED IN MILANOCARD MMW SPECIAL EDITION? With MilanoCard MW Special Edition you will be able to pick up a bracelet that will allow you benefit during the Milan Music Week. You can pick up your bracelet at Milan Central Station, at the Highline Galleria (via Silvio Pellico 2, near Duomo of Milan), at BASE Milano and Urban Center. *program under way, the full list of benefits will be available shortly.